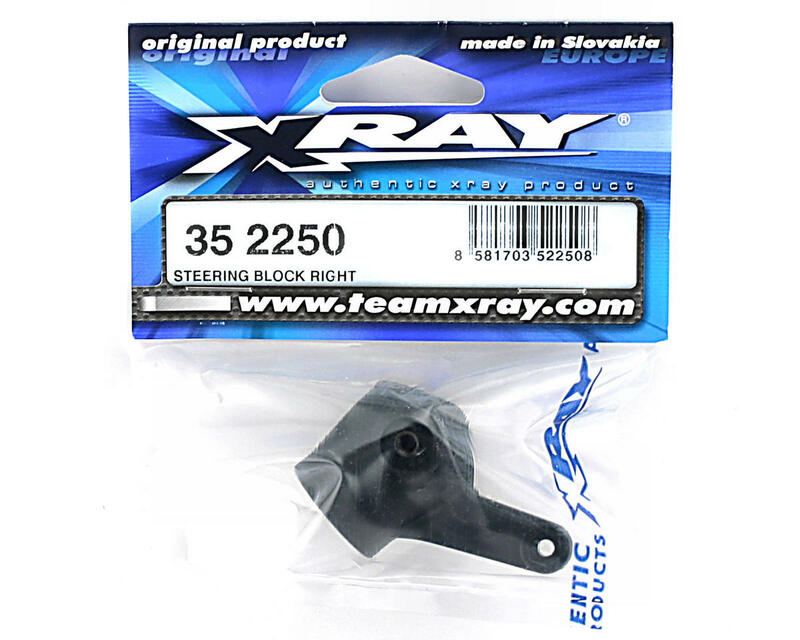 This is a replacement right side steering block for the XRAY XB8TQ Luxury Buggy. The steering block is made from lightweight, yet very strong and durable special composite. 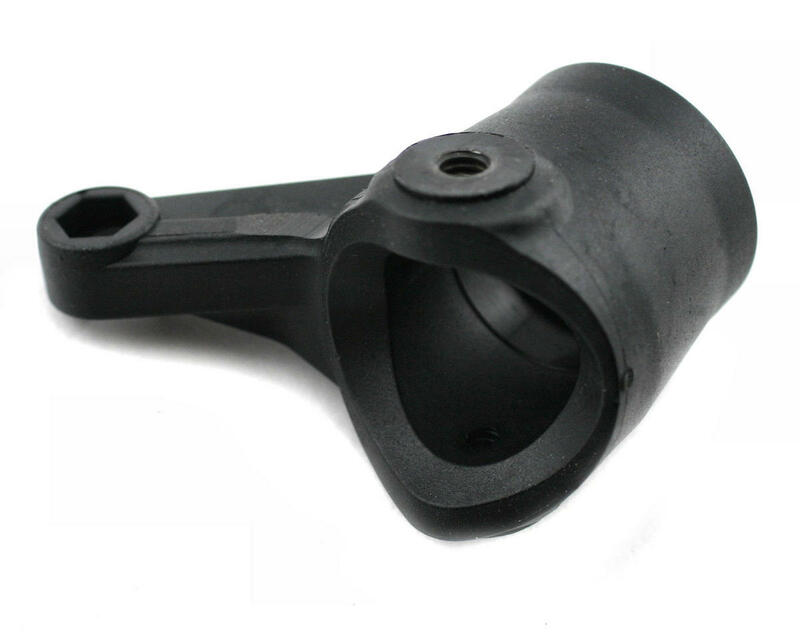 It features an inset steel bushing that is molded into the steering block. This design enables the kingpin screws to be firmly held in the steel threaded bushing while the end of the screw is self-locked in composite to prevent the screws from loosening during racing.